Whether you’re a boxer or someone who’s using boxing to get fit, the best free standing punching bag is a great way to improve your punching power, coordination and boxing abilities. These are a good alternative to the more standard heavy bags which need to be hung over a stand or a beam. This makes them much easier to set up as well as move should you need to get it from one area of the gym to another. Depending on what your fitness goal is, choosing the right type of freestanding punching bag is essential. Some are designed for punching power, others for cardio. They have different weights as well as come with different size of base and bag. Below, we list down the top products that will let you do bag work without having to hang up a heavy bag. Best Free Standing Punching Bag: Our top pick, this is a great alternative to the traditional heavy bag and stand that are set up in boxing gyms. It makes it easier for users to train with either for cardio purposes or boxing itself. The Original Wavemaster from Century is a freestanding punching bag that makes you throw your hardest kicks and punches to move it. But after each blow or strike, it quickly comes back for more. This makes it easier for some, specially beginners to train with compared to the regular heavy bags. Plus you don’t need a partner hold the bag when you’re unloading your biggest shots. The punchable portion of the Wavemaster Original sits on a round base so you can roll it easily from one side of your gym to the other if needed. This makes it much easier to move between areas, at least compared to the heavy beg stands. When the base is filled with either water or sand this Original Wavemaster punching bag weighs an estimated 250 pounds. This gives it that great stability so you can unload you biggest kicks or punching without moving it out of position. We like the height of the bag can be adjusted. It offers three inch increments so you can set it between 47” high to as tall as 68”. Family members and friends will be able to use the Wavemaster if you wish to let them. And if color important to you, this freestanding punching bag is available in three colors: black, blue and red. This is another offering from Century, which is one of the leaders when it comes to freestanding punching bags. The Century Aerobic Wavemaster is a boxing/training bag you can use for a vigorous workout whether or not you’re interested in personal combat sports. A lot of individuals are now taking up boxing not to get into the ring for MMA or punching someone’s lights out. Instead for working on conditioning as it works up a good sweat and helps you lose weight as well as get fit and tone. The punching portion of the Aerobic Wavemaster is 40 inches tall with a 10.5 inch diameter. It is filled with a tightly packed foam to give you the best punching or kicking experience. The bag sits on a 22 inch diameter round base (so it can be moved easily) in which sand or water is poured to provide stability. You’ll notice that from the build it isn’t as thick, nor does it have as big a base. This is because it isn’t designed for big heavy punches. Choosing between this and the Original Wavemaster boils down to whether you’re looking for a more cardio boxing workout or one that’s more traditional with all the heavy punching. The height of this bag can be adjusted. It goes by increments of 3 inches at a time allowing its height to go from as low as 53.5 inches up to as high as 65.5 inches tall. The Century Aerobic weighs about 170 pounds once filled. The Everlast Omniflex is a free standing punching bag for anyone who wants to practice their punches, kicks or knee strikes. 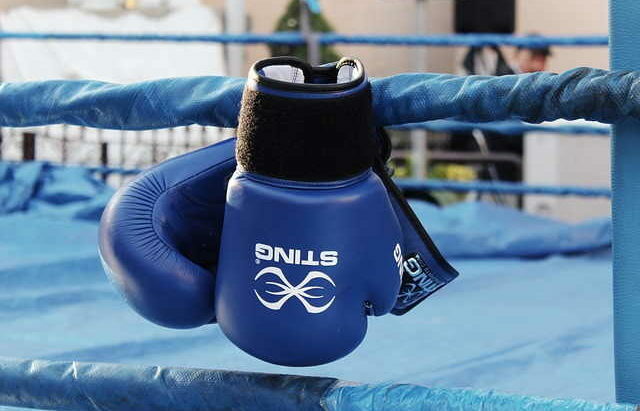 Despite being manufactured by one of the leading boxing equipment makers, you can use it for different types of training including mixed martial arts kicks and knees. The punching bag portion of the Omniflex is ready to go when you receive it. The bag is filled with a sturdy durable foam which will be able to take your punches, strikes and kicks again and again. The bag is protected by Everlast’s sturdy Nevatear fabric. This gives it the durability as well as the ability of not tearing after just a few hits. The bag sits on a rod like neck that allows the bag to bounce back and forth in reaction to your blows. The inclusion of a neck also serves the purpose of greatly reducing the movement of the base. That feature makes the Omniflex a candidate to be called the best free standing punching bag. The base should be filled with water to provide stability for this Everlast training bag. When it is filled with water the Omniflex weighs about 130 pounds. As with the others, the height of this bag can be manipulated to fit individuals of different sizes. It goes up to as high as 67 inches. For High Punching and Striking Power: The Centery Wavemaster XXL as its name implies, is an extra large free standing workout bag. This is ideal for use in training in nearly any hand to hand combat sport. The bag is filled with a foam material that provides a great target for your assaults on the bag. The nylon cover helps extend the durability of the Wavemaster XXL. This is the option to go for it you’re a heavy hitter or own a gym where those who come to train are either heavyweights or elite boxers or mixed martial artists. The height of the bag is 69 inches and has a diameter of 18 inches. The low standing base is designed to minimize movement and maximize stability. When the base of the bag is filled with water the weight of this item is around 270 pounds. Free standing punching bags are more convenient to use compared to hanging heavy bags. They just as effective in helping hone your boxing skills or assist you in getting into shape. Whether you’re a boxer who wants to improve your punching ability or using the bag for cardio, this is a great place to start.